I am loving this UFO challenge. 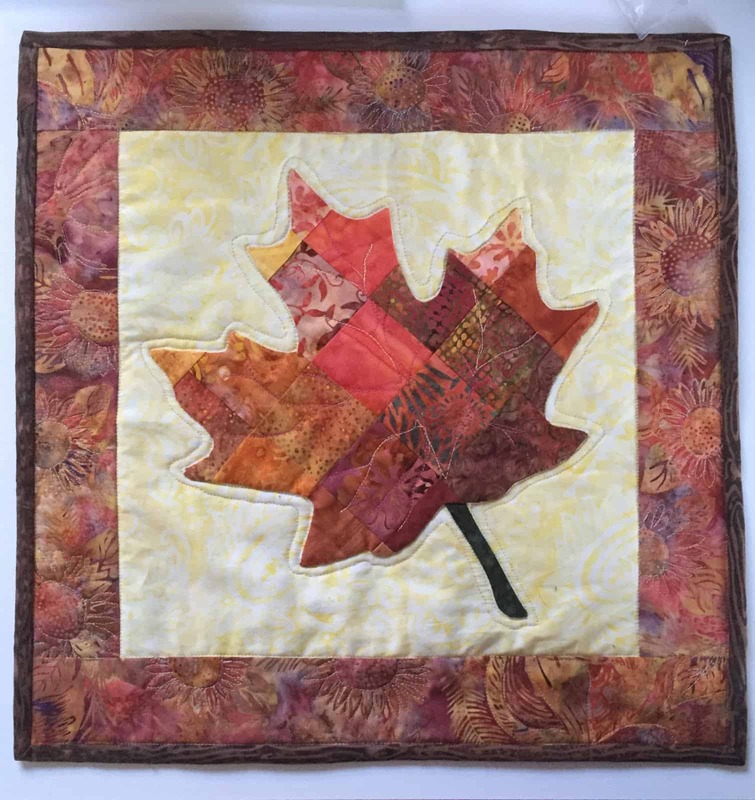 I finished a nice little leaf applique quilt and can call it done! I am thrilled to bits to be motivated this way. 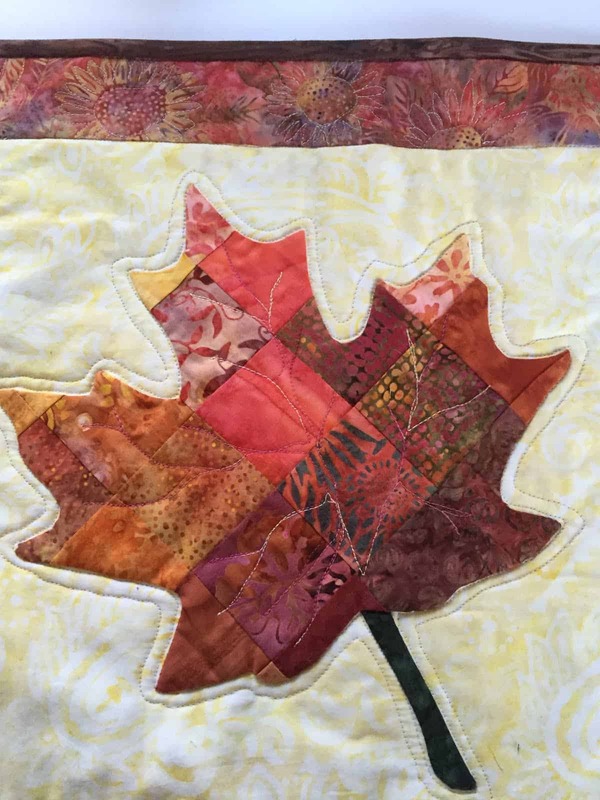 One of my favorite things about this little quilt is the pieced fabric for the fall leaf. 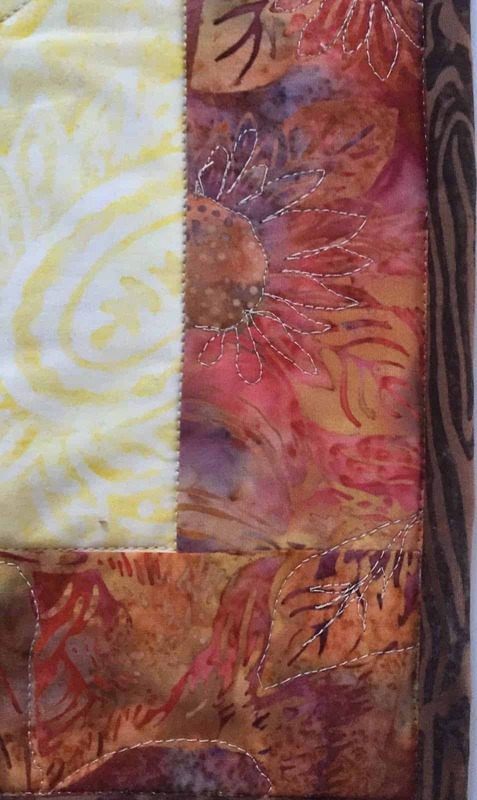 I enjoyed quilting it and pushed myself to do something a little fancy in the border. I almost always rush to finish the quilting and don’t do anything elaborate, especially in my class samples. It was a good exercise in patience and pushing myself when so often I go for the quick ending. Next Post UFO #5 is up! A great start on your list! Thanks! One done feels like such an accomplishment. Great finish, I really like the colors you used on the leaf. Thanks. It was from a block of the month I finished a few years ago. It always feels good to use scraps I have been saving and to finish it up!